Could life get any worse for Ashley, Brian and Matthew? Their father abandoned them, their mother died, they’ve been shipped off to live with a total stranger, and now they have discovered that everything they’ve ever learned about the world is a lie! But to find the truth, they will have to battle evil faeries, risk their lives to claim magical talismans, and earn the respect of Elves who have vowed to kill them. 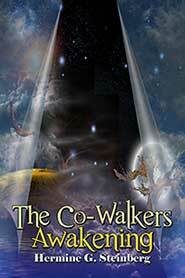 Will they be able to prove that they are the legendary Co-Walkers who are able to travel between the Earthly and Faery Realms? Or will they find out they’re merely pawns caught in the midst of a dangerous conspiracy that could lead to the destruction of both their worlds? Now it is up to Ashley, Brian and Matthew to discover their unique abilities and restore what magick alone could not repair. And time is running out!